Before starting Health Planner, I worked as a critical care nurse in a large hospital system. One of my many reasons for leaving bedside care was to get families talking about end of life wishes before reaching the intensive care unit. In a perfect world, we want our loved ones to die peacefully in their sleep at home after many years enjoyed with family and friends. The reality is we dance around all the "what-ifs" for so long the decision making falls into our lap at the hospital with providers we just met. This Diving in Head First covers much more than "the end" as families face decisions every day regarding their parent. Part IV of this series will include conversations to start having now and how to continue these conversations at every interaction with the health care system. I heard the best quote from Melanie Parks MS, BSN, RN, CHPN at a conference. She said, "It's not about how your parent wants to die, it's about how they wish to live to the very end." To start, I want to organize your thoughts on the changing goals of care as we age. We are all familiar with the medical model of care. We fall ill, see a doctor, and receive treatment to cure us. What do you do when the illness is not curable? Should you seek the same treatment options when you are 88 vs. 33? Some of you may be familiar with the concepts of palliative and hospice care. There is often confusion when doctors refer a parent to such services. These families feel providers have given up on a parent. There are also caregivers who embrace palliative and hospice care yet feel guilty when health care workers negatively react when they refuse a treatment offered. When either situation occurs, education is the answer. Education for families to explain how palliative and hospice care focus on providing treatments to enhance the quality of life. Education to health care workers on how to support a family making tough decisions for their parent. As a critical care nurse, I first heard about palliative care through an End of Life Nursing Education Consortium training via the American Association of Colleges of Nursing. This is where I first saw the "disease progression" timeline. The linear nature of the graph implies a lot more simplicity than living through the experience. When you or your parent are just a point on the chart, how do you know where you are and when to enter the next stage? The Diving in Head First series has taught you the importance of asking questions. When you compiled your parent's list of doctors and medications in Part I and Part II, you were in the mindset to gather the information as is. As you move forward in coordinating the care for your aging parent, your mindset needs to focus on the why. With each doctor visit and each medication, you need to check in with your parent and ask "Is this what you want to do?" When you get an unexpected "No" or an "I don't know" as a reply, this opens the door to explore how to align your parent's care goals and needs with their medical team to ensure they are living how they want to live to the very end. How do you do this? When I have a difficult decision to make affecting others, I work best within a framework to organize the information I have. Using the "disease progression" timeline as a reference, I think of care decisions falling into one of four mindsets. Each mindset comes with questions to weigh the various options for your parent. Treatment for healing (Curative): Treatment plans in this mindset place more weight on the treatment of one problem rather than looking at the whole health and situation of an individual. An example is knee replacement surgery. While an orthopedic surgeon can weigh your parent's physical risk of undergoing surgery, your knowledge of your parent's situation is needed to understand how the surgery will affect their overall health and quality of life. Will your parent be able to complete the required work of rehab and physical therapy to return to their normal function? How will your parent handle post-operative pain? How does the doctor manage post-operative pain? Is there a plan in place if your parent needs more rehab than expected? Is there someone available to get your parent to all the necessary appointments? Treatments aimed at healing are appropriate at any age. However, you may need to coordinate care and advocate more than usual for your parent to ensure the best outcomes. Treatment for monitoring (Chronic care management/Palliative Care): If your parent has been living with diabetes, heart failure, joint pain, chronic obstructive pulmonary disease (COPD), and other chronic illnesses managed without cure, then treatments fall under the mindset of monitoring. Treatment plans will involve adherence to a medication regimen, follow-up with medical providers, and occasional lab or radiology work to optimize their health around a specific diagnosis. A great example is heart failure. An initial heart failure diagnosis may start with a few medications to help the heart. As your parent ages, you might notice more hospitalizations occurring due to their heart failure. The key with monitoring chronic illnesses is understanding the red flags and warning signs your parent experiences to prevent these hospitalizations. You also need to ask who to call and with what information to better manage your parent's symptoms to remain safely at home. Chronic care management parallels a lot with the ideas of palliative care, the next treatment mindset. Treatment for the quality of life (Palliative Care): Treatment plans with this mindset focus on symptom management and reducing the stress from a serious illness. There is a lot of overlap with treatment for monitoring and treatment for healing because medical decisions all strive to improve an individual's quality of life. However, this treatment plan begins a shift in mindset. Palliative care embraces your parent's whole situation. No longer are they just the "diabetic patient" or "joint replacement patient." Your parent is the 88-year-old female independently living at home with a daughter who watches over her care. Where outpatient palliative care offices exist, families receive care in one place that oversees all medications, day-to-day care, equipment, and counseling services. Palliative care is structured in a way to be the bridge between treating for healing to treating for human dignity, our next mindset. Treatment for human dignity (Hospice): Hospice is a scary word for anyone who has not used such a service. At one point in my nursing career, I also had the same fears I hear family members express. A big misconception is hospice is where you go to die. While there is truth in this statement, it does not highlight the incredible care experienced. I explain to families hospice is like any referral your doctor would make. There comes a time where your parent's care needs will be outside the ability of their current providers to manage. Medicare defines hospice as having six months to live to draw lines around when they reimburse. However, predicting the end is a case by case situation. A provider may want to continue to manage a parent's health, but your parent may initiate a hospice referral when they start to refuse certain treatments. A parent fed up with dialysis. A parent with cancer refusing further chemo or surgery. A parent whose last hospital stay for shortness of breath lasted months only to be on the verge of returning to the hospital. When your parent opts to no longer pursue treatments aimed at extending their life, then they enter the period of treatment focused on human dignity. In this mindset, your parent is allowed to control their time left via a specialized team who will continue to treat symptoms your parent experiences along the way. Also, this team will help families through the many emotions experienced during this time. If your parent resides in a facility, there are often contracts in place for a hospice provider. I encourage families to always ask and advocate for such services if ever unsure when to initiate. A resource Health Planner advocates use with families is the Conversation Project. A non-profit providing a free Starter Kit to get the conversation started about a parent's end of life wishes. Clicking on the graphic will take you to their 12-page Starter Kit. There is no right way to start this conversation. You just need to start. Regarding documentation, most families are familiar with advance directives and living wills. In the legal jargon of end of life care, there is also the medical power of attorney or health care proxy to consider, Physician Orders for Life-Sustaining Treatment (POLST) form, and Out-of-hospital Do Not Resuscitate (DNR) form. Searching your state's Department of Health and end of life should help guide you further on forms needed in your state. 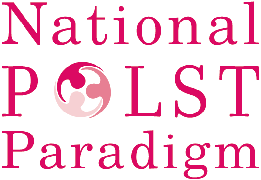 A newer form gaining momentum is the National Physician Orders for Life Sustaining Treatment (POLST). Your state may call this form something different, but can be found on the National POLST website. The POLST form allows for clear communication of care goals across the entire spectrum of providers from nursing home staff to Emergency Medical Technicians (EMTs) to physicians regarding your parent's wishes. A more thorough explanation is found here. Please check back for the last part to Diving in Head First: Role Reversal. Disclaimer: All content provided on PBJ is out of the experiences and knowledge of one individual. Your situation may require further expert guidance. Always consult a licensed professional regarding health and legal matters. In reading, you agree no medical or health-related decisions will be based solely on information contained on PBJ. The website may update posts without specific notice to you. Links to other sites provide convenience to the reader. Resources listed and linked are in no affiliation with Health Planner unless noted. Each post and comment section are open to the public for viewing and comment. If there is a need to share private health information, please contact us via our secure Contact form or call Health Planner at (317) 572-9011.